The classy Caldise pump from Easy Spirit is what you get when comfort and style collide. Smooth leather uppers with an almond toe. Easy slip-on pump. Soft textile linings. Lightly padded footbed offers added arch support. 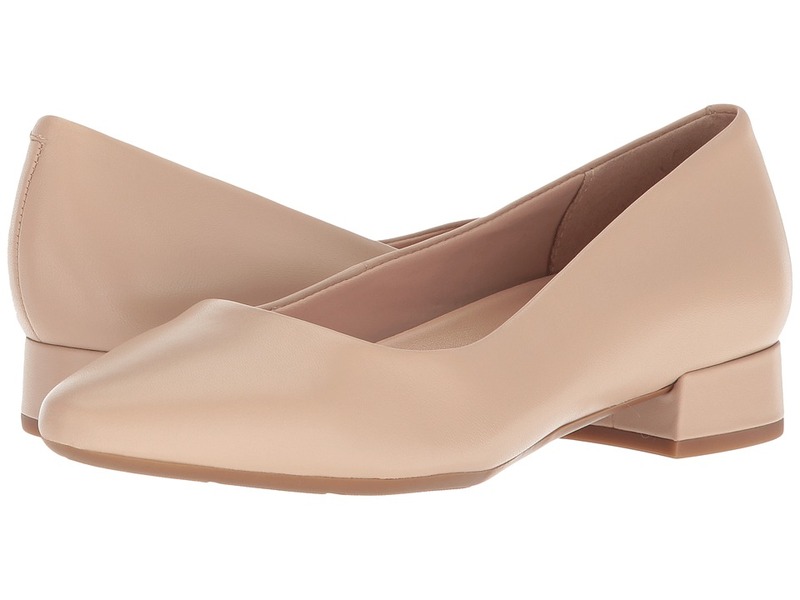 Modest block heel. Durable man-made outsole. Imported. Measurements: Heel Height: 1 in Weight: 9 oz Product measurements were taken using size 8.5, width W (D). Please note that measurements may vary by size. Weight of footwear is based on a single item, not a pair. 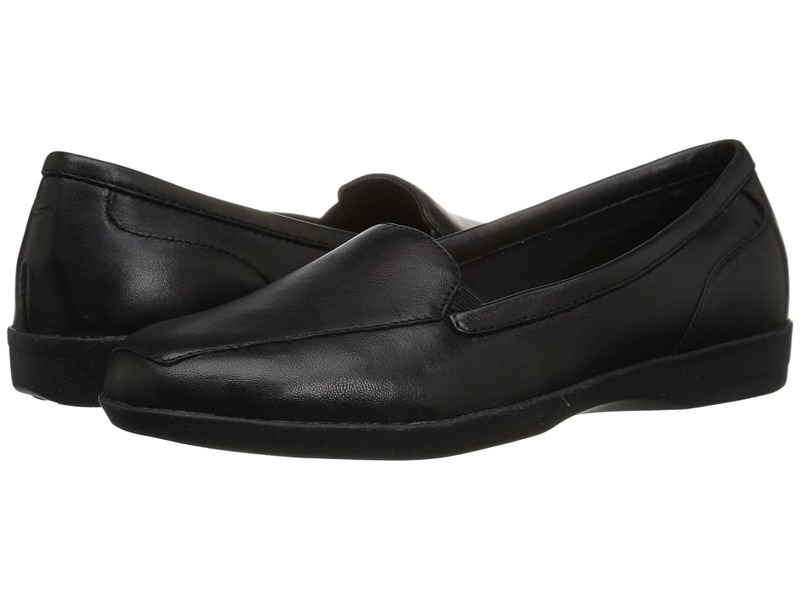 The easy access design of the Easy Spirit Crellin mule loafer is sure to keep up with your on-the-go lifestyle! Upper is constructed of soft premium leather. Dual-gore panels adorn the uppers for an adjustable and secure fit. Easy slip-on design with classic mule-styling. Padded insole ensures plush cushioning and support. Textile lining is soft to the touch and promotes a breathable wear. Durable rubber outsole designed for extra traction and grip. Imported. Measurements: Weight: 6 oz Product measurements were taken using size 8.5, width M (B). Please note that measurements may vary by size. Weight of footwear is based on a single item, not a pair. The daisies are in bloom, so you know what that means? Breakout your favorite sundress and a pair of the Easy Spirit Daisy sandals to complete your spring look! Upper constructed of premium leather. 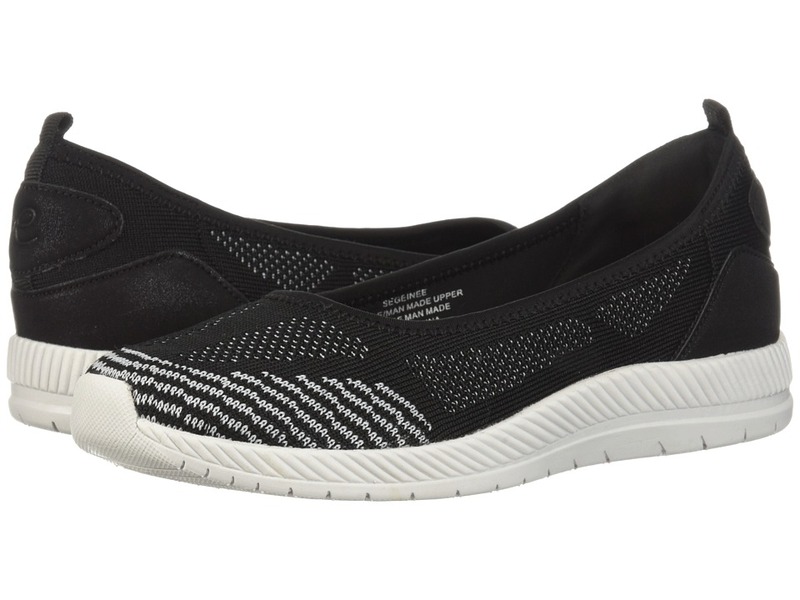 Woven design adorns the upper for a ventilated design. Easy slip-on design with open-toe styling. Memory foam footbed provides arch support and plush cushioning. Synthetic lining is soft to the touch providing a comfortable wear. Wedge-heel design. Rubber outsole promotes extra traction and durability. Imported. Measurements: Heel Height: 2 1 4 in Weight: 9 oz Platform Height: 1 in Product measurements were taken using size 8, width W (D). Please note that measurements may vary by size. Weight of footwear is based on a single item, not a pair. 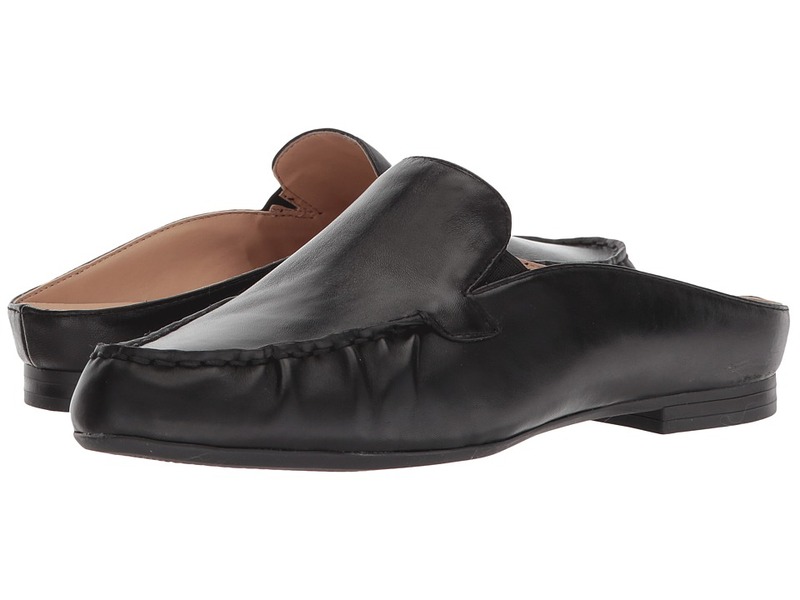 The Devitt delivers simplicity and comfort in a versatile loafer from Easy Spirit. Nappa leather with an apron vamp and round toe. Easy slip-on style with dual side goring for flex. Smooth textile linings. Removable cushioned insole with arch support. Light yet durable synthetic outsole. Imported. Measurements: Heel Height: 3 4 in Weight: 6 oz Product measurements were taken using size 5, width M (B). Please note that measurements may vary by size. Weight of footwear is based on a single item, not a pair. Discover your signature summer-look with the chic Deynee 3 sandal by Easy Spirit! Upper is constructed of metallic faux-leather. Adjustable hook-and-loop closure secures foot in place. Elasticized-gore straps ensure a formfitting wear. Supple microsuede lining keeps feet cool and comfortable. Cushioned footbed provides plush responsiveness and comfort. Lightweight EVA midsole and wedge deliver seamless arch-support. Flexible rubber outsole provides wide range of motion and traction. Imported. Measurements: Heel Height: 2 in Weight: 7 oz Platform Height: 3 4 in Product measurements were taken using size 7.5, width M (B). Please note that measurements may vary by size. Weight of footwear is based on a single item, not a pair. From beach to boardwalk, you~ll fall in love with simply elegant Draco 3 sandal by Easy Spirit! Upper is constructed of a combination of faux-leather and textile fabrics. Open-toe styling. Adjustable hook-and-loop straps secure foot in place. Elasticized-forefoot strap ensures a formfitting wear. Extra padding within the forefoot area. 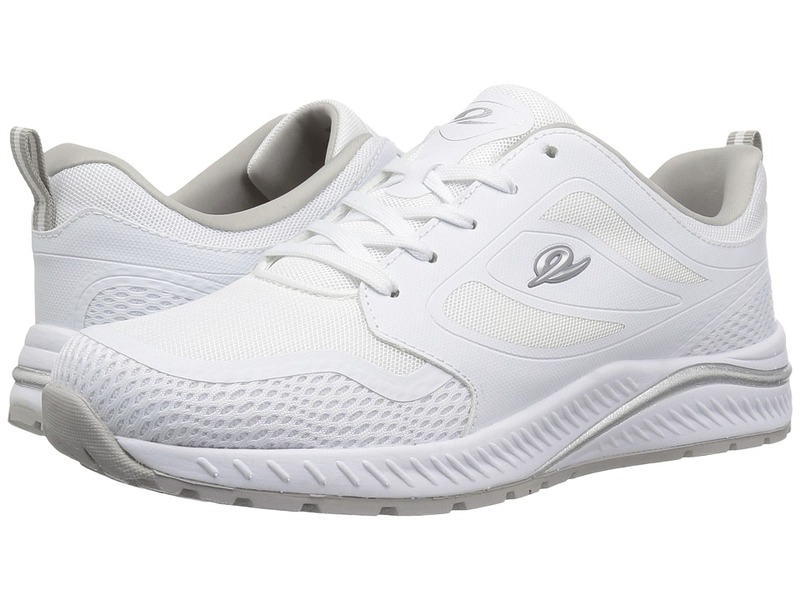 Lightweight EVA midsole and wedge deliver seamless arch-support. Lightweight rubber outsole provides ample flexibility and traction. Imported. Measurements: Heel Height: 1 1 2 in Weight: 8 oz Platform Height: 3 4 in Product measurements were taken using size 9, width W (D). Please note that measurements may vary by size. Weight of footwear is based on a single item, not a pair. 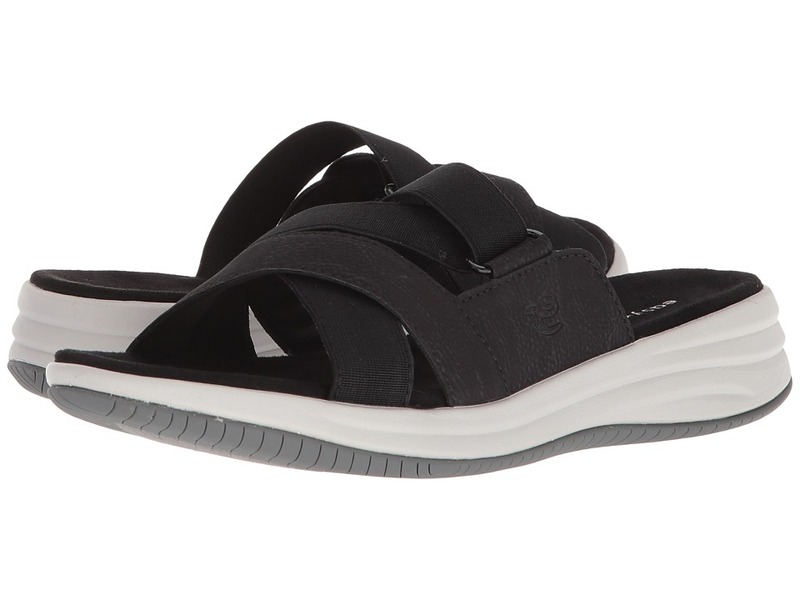 The Easy Spirit Drones 2 sandal is a practical fashion statement for your signature-look this season! Upper is constructed of a combination of elasticized-straps and textile materials for a formfitting and adjustable wear. Easy slip-on design with ope-toe styling. Hook-and-loop closure secures foot in place. Supple microsuede lining keeps feet cool and comfortable. Cushioned EVA footbed is contoured to your foot for a personalized comfort. EVA midsole provides ample shock-absorption and stability. Flexible rubber outsole is accompanied with a seamless wedge-heel. Imported. Measurements: Heel Height: 1 1 2 in Weight: 7 oz Platform Height: 3 4 in Product measurements were taken using size 8, width M (B). Please note that measurements may vary by size. Weight of footwear is based on a single item, not a pair. Get in touch with your inner self with the ethereal Earthen from Easy Spirit. Durable leather and mesh uppers in a sporty silhouette. Stretch slingback strap and pull-tabs for an easy on-and-off. Stretch laces offer a secure fit. Soft and breathable fabric linings. 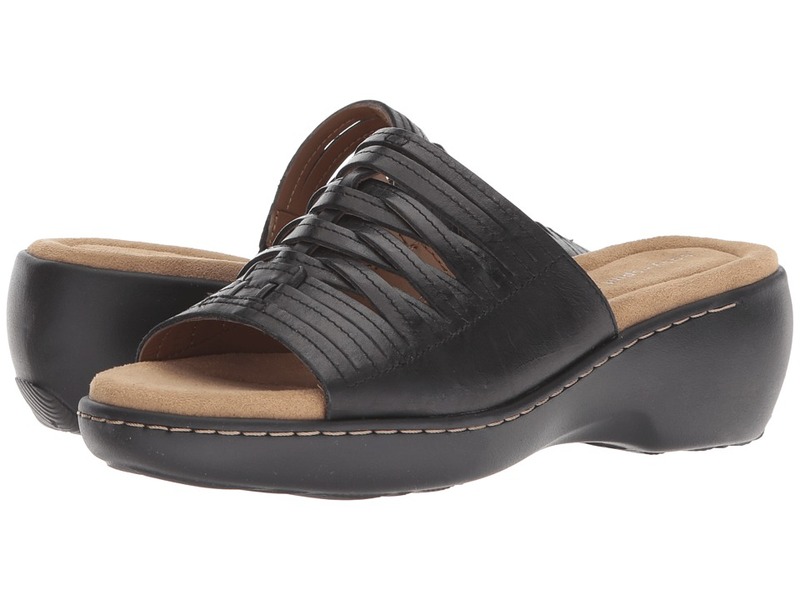 Breathable, contoured EVA footbed offers added arch support for all-day comfort. Sculpted EVA midsole. Durable rubber outsole. Imported. Measurements: Heel Height: 1 1 4 in Weight: 8 oz Platform Height: 1 2 in Product measurements were taken using size 8.5, width W (D). Please note that measurements may vary by size. Weight of footwear is based on a single item, not a pair. Whether you~re taking it easy or taking on a new adventure, your weekend starts when you slip into the sporty Esplash sandal from Easy Spirit. Nubuck and fabric uppers with a closed toe. Adjustable straps with hook-and-loop fasteners at ankle and heel strap. Soft and breathable mesh linings. Features a contoured and breathable EVA footbed with added arch support. Sculpted and shock-absorbing EVA midsole. Durable and flexible rubber outsole. Imported. Measurements: Heel Height: 1 1 4 in Weight: 6 oz Platform Height: 1 2 in Product measurements were taken using size 5, width M (B). Please note that measurements may vary by size. Weight of footwear is based on a single item, not a pair. Gear up for a weekend on the go in the sleek and sporty Easy Spirit Geinee slip-on sneaker! Perforated knit uppers in a slimming, low-profile silhouette. Slip-on construction with rear-pull tab. Round-toe silhouette. Soft and breathable fabric linings. Features a removable, gel and EVA cushioned footbed for all-day comfort. Lightweight man-made outsole. Imported. Measurements: Heel Height: 1 1 4 in Weight: 6 oz Platform Height: 1 2 in Product measurements were taken using size 9, width W (D). Please note that measurements may vary by size. Weight of footwear is based on a single item, not a pair. 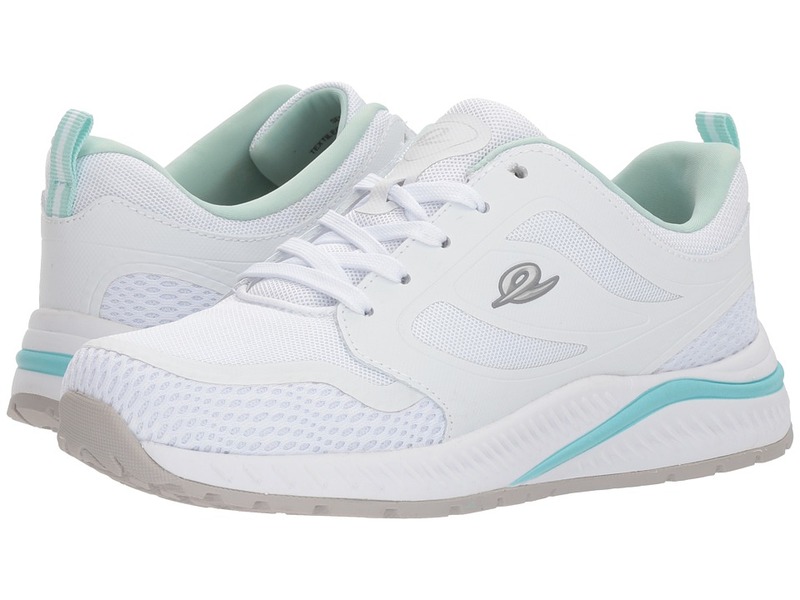 The Easy Spirit Gemela 2 sneaker will have you walking further and smiling longer with its super dependable comfort technology! Upper is constructed of synthetic mesh-fabric for a breathable wear. Adjustable zip-up closure secures foot in place. Soft synthetic mesh lining keeps feet cool and dry! Gel-system within the insole provides fluid cushioning and arch support. Durable rubber outsole provides excellent long-lasting traction. Imported. Measurements: Weight: 7 oz Product measurements were taken using size 8.5, width M (B). Please note that measurements may vary by size. Weight of footwear is based on a single item, not a pair. 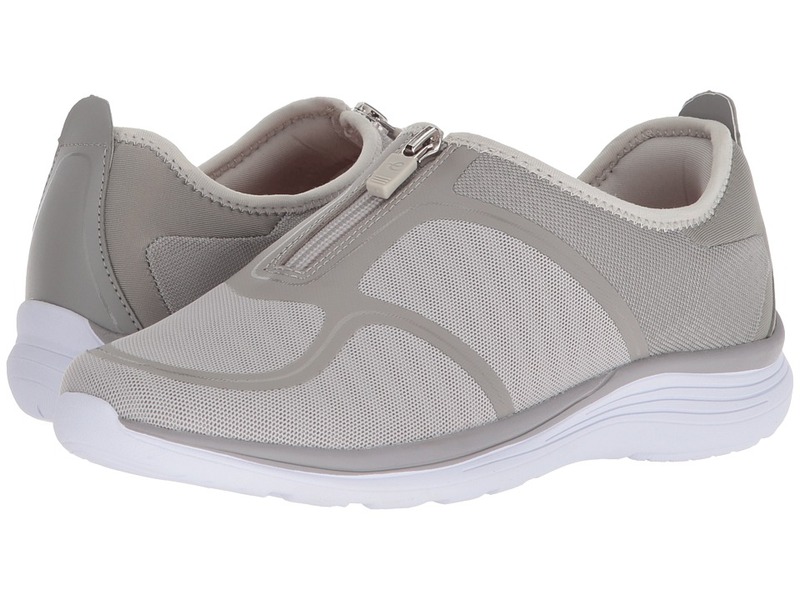 Gear up for a weekend on the go in the sleek and sporty Gerda 2 sneaker from Easy Spirit! 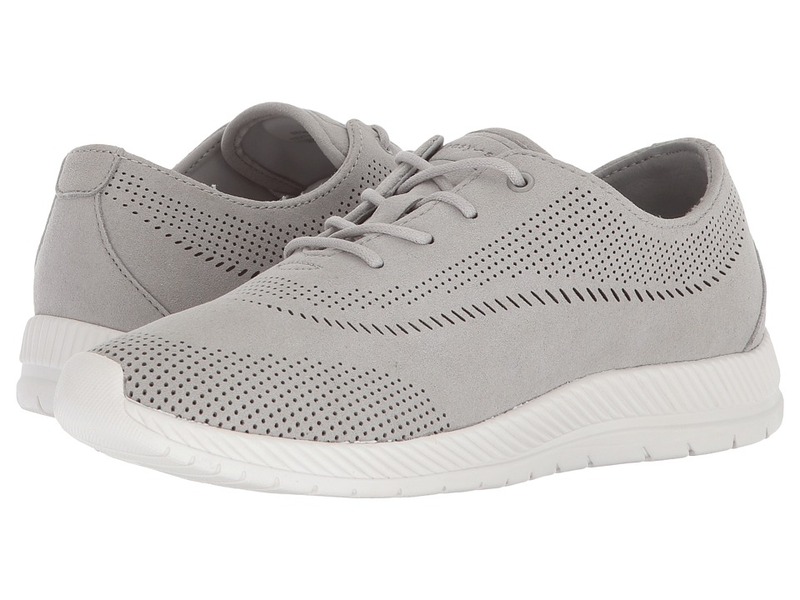 Perforated fabric uppers in a slimming, low-profile silhouette. Adjustable lace-up closure for a secure fit. Soft and breathable fabric linings. 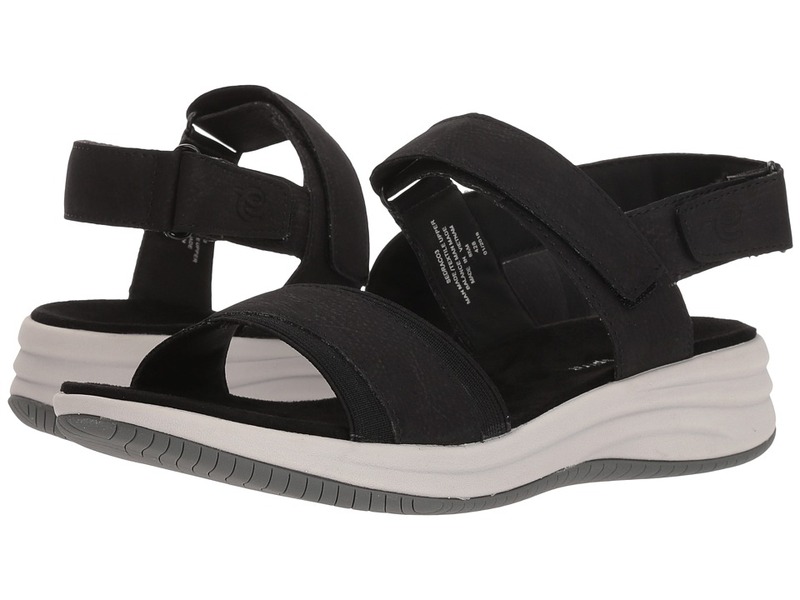 Features a removable, gel and EVA cushioned footbed for all-day comfort. Lightweight man-made outsole. Imported. Measurements: Weight: 6 oz Product measurements were taken using size 8, width M (B). Please note that measurements may vary by size. Weight of footwear is based on a single item, not a pair. 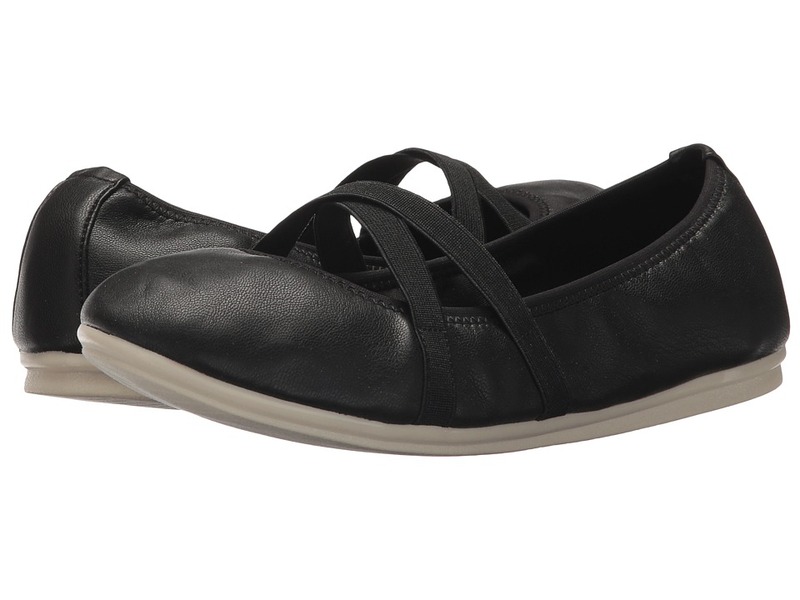 Bring effortless style and endless comfort to your look with the Easy Spirit Gizela 3 flat! Casual flat silhouette. Uppers of textile and synthetic materials. Crisscross stretch straps across vamp. Padded footbed with arch support. Flexible and durable one-piece rubber outsole. Imported. Measurements: Weight: 5 oz Product measurements were taken using size 7.5, width W (D). Please note that measurements may vary by size. Weight of footwear is based on a single item, not a pair. 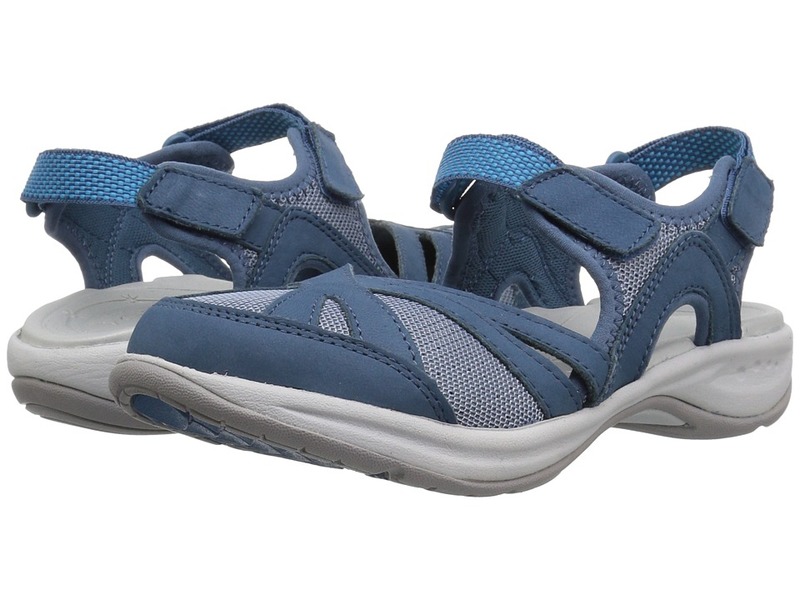 Show your feet some serious love with the lovely Hugs 3 walking shoe from Easy Spirit! Durable and breathable mesh uppers with synthetic overlays. Lightly cushioned tongue and collar. Adjustable lace-up closure with heel tab. Soft and breathable lace-up closure. Removable, cushioned footbed offers added support and can accommodate orthotics. Lightweight and flexible rubber outsole. Imported. Measurements: Weight: 10 oz Product measurements were taken using size 8, width N (AA). Please note that measurements may vary by size. Weight of footwear is based on a single item, not a pair. 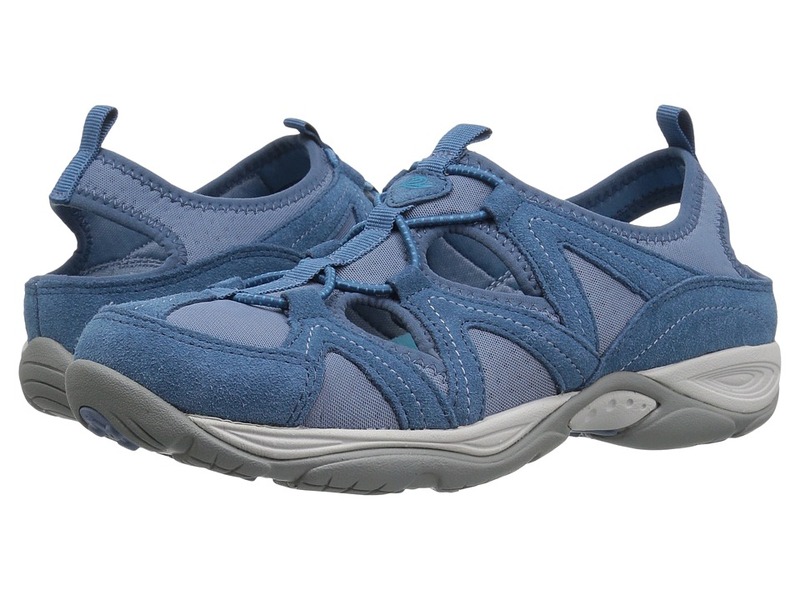 Show your feet some serious love with the lovely Hugs 4 walking shoe from Easy Spirit! Durable and breathable mesh uppers with synthetic overlays. Lightly cushioned tongue and collar. Adjustable lace-up closure with heel tab. Soft and breathable lace-up closure. Removable, cushioned footbed offers added support and can accommodate orthotics. Lightweight and flexible rubber outsole. Imported. Measurements: Weight: 12 oz Product measurements were taken using size 9.5, width M (B). Please note that measurements may vary by size. Weight of footwear is based on a single item, not a pair. 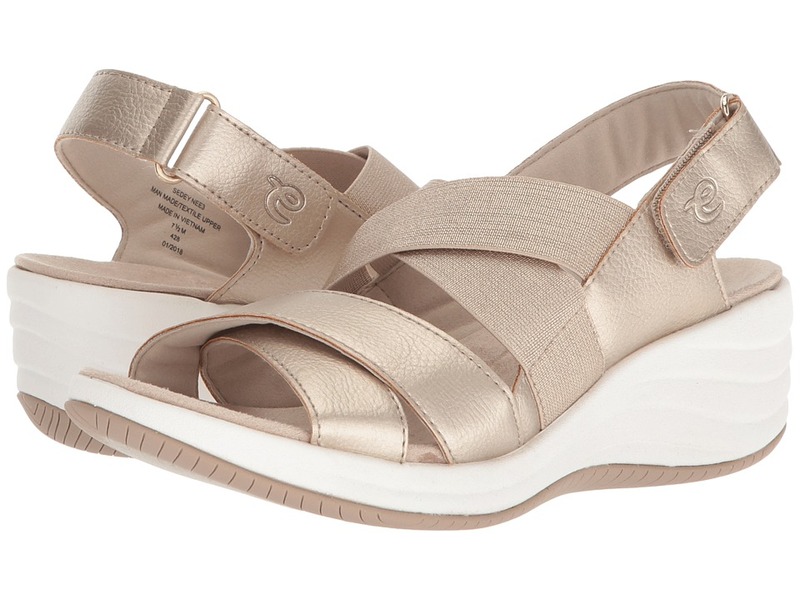 The Easy Spirit Ixia sandal defines the free and fun summery-look you~ve been looking for! Upper is crafted of premium leather. 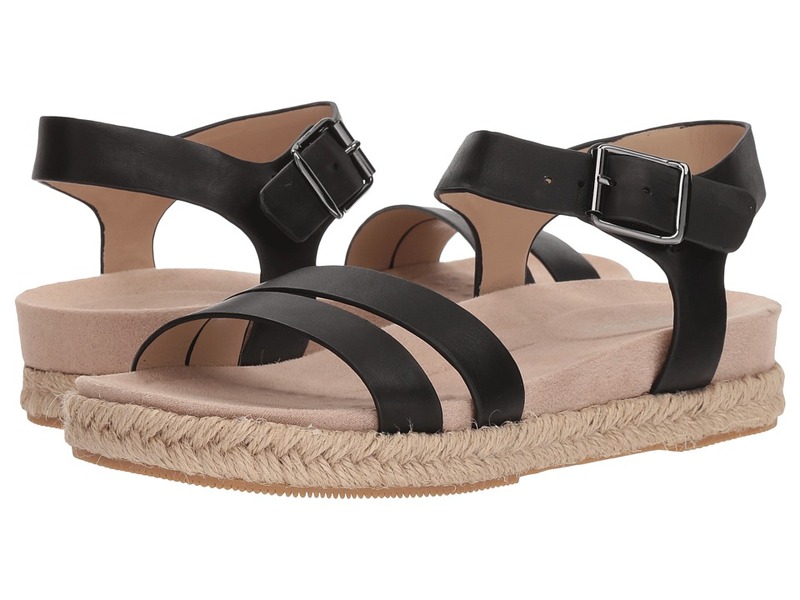 Open-toe styling with espadrille design. Adjustable buckle closure secures foot in place. Buttery microsuede lining provides a cool and comfortable wear. Memory foam footbed is contours to foot for responsive cushioning and seamless arch-support. Additional heel padding delivers ample shock-absorption and stability. Braided jute wraps around the midsole. Durable rubber outsole is accented with tread pattern for extra traction and grip. Imported. Measurements: Heel Height: 1 1 2 in Weight: 9 oz Platform Height: 1 in Product measurements were taken using size 7.5, width W (D). Please note that measurements may vary by size. Weight of footwear is based on a single item, not a pair. The Easy Spirit Mullen slide is the perfect choice for completing your warm-weather look. 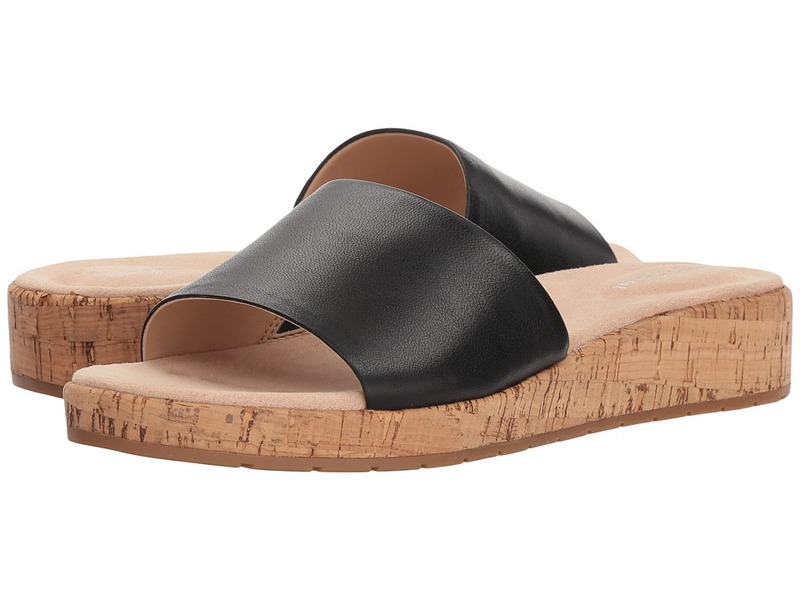 Upper is constructed of leather bands that form a chic and stylish strap, securing foot in place. Easy slip-on design with open-toe styling. Supple microsuede lining ensures a breathable wear. Memory foam footbed provides plush responsiveness and cushioning. Midsole and wedge are wrapped in a cork design. Flexible rubber outsole ensures ample traction and grip. Imported. Measurements: Heel Height: 1 1 2 in Weight: 9 oz Product measurements were taken using size 7.5, width W (D). Please note that measurements may vary by size. Weight of footwear is based on a single item, not a pair. 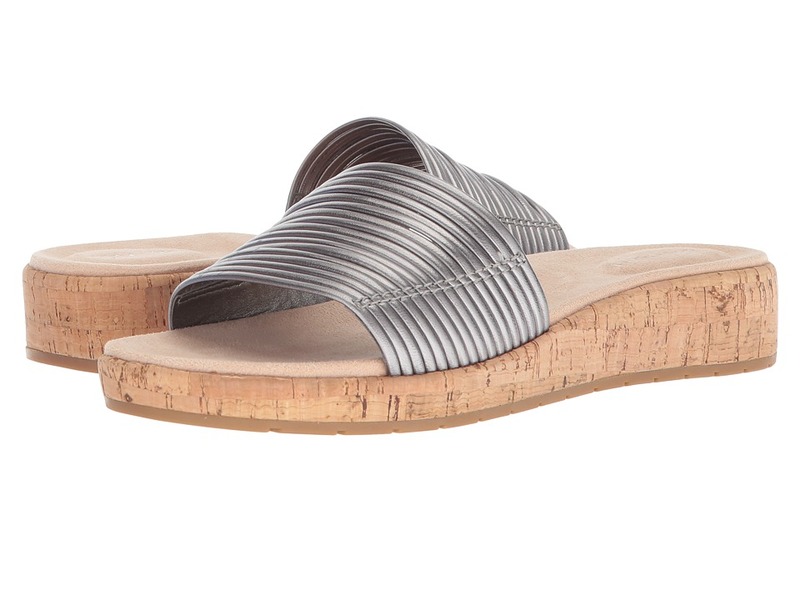 The Easy Spirit Muscari sandal is the definition of simple and chic styling that still makes a statement! Upper is constructed of leather. Easy slip-on design with open-toe styling. Supple microsuede lining ensures a breathable wear. Memory foam footbed provides plush responsiveness and cushioning. Midsole and wedge are wrapped in a cork design. Flexible rubber outsole ensures ample traction and grip. Imported. Measurements: Heel Height: 1 1 4 in Weight: 8 oz Product measurements were taken using size 8, width W (D). Please note that measurements may vary by size. Weight of footwear is based on a single item, not a pair.